When the icy winds and endless cloudy days of winter have passed, it is the perfect time to the beach. From remote, solitary stretches of sand to bustling holiday promenades, there is something for everyone along the coast of the UK. Many local beaches have plenty more to offer than just the sand and the sea. The team at VroomVroomVroom has put together a quick list of just some of the fantastic, unique beaches around the country. For a spectacular beach along the Northumberland coast, visit the town of Bamburgh. 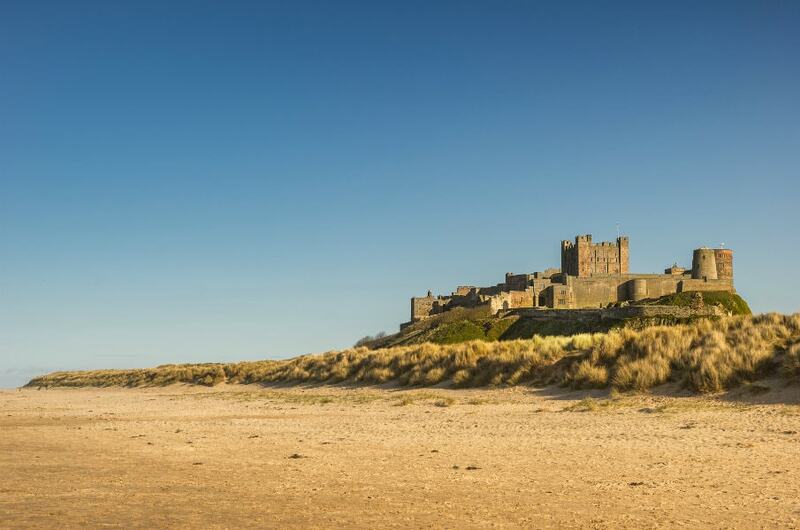 With a beautiful castle overlooking a wide, sandy beach, Bamburgh Beach is an impressive sight. The beach is particularly popular among surfers, located just an hour from Newcastle upon Tyne. Take the time to explore the historic castle while you are visiting Bamburgh. Learn fascinating stories about the castle's history and the kings who once called it home. Refreshments are also available at the castle. Driving Directions: Bamburgh Beach is located two hours south of Edinburgh along the A1. Alternatively, you can pick up your rental car from Newcastle Upon Tyne and head north on the A1 for approximately one hour. The beach is in the town of Bamburgh. With arcade games, shopping, theme parks and historic piers, it is easy to see why Blackpool has one of the most visited beaches in England. 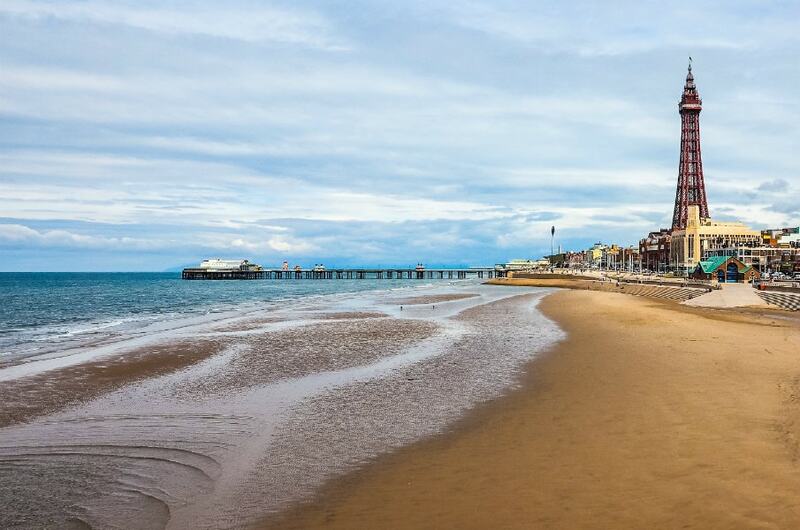 From the giant mirror ball at the south end of the beach to the imposing Blackpool Tower and Victorian-style pier in the north, there are plenty of unique things to see along the coast. Blackpool's South Pier is jam-packed with theme park rides, lolly shops and interesting souvenir shops. Visitors can also visit the Pleasure Beach theme park and explore the central shopping plaza. If you have a rental car, Blackpool is within an hour from both Manchester and Liverpool. For a memorable day out, head to Blackpool. Driving Directions: Blackpool is located one hour north of Liverpool via the M6. Exit onto the Preston Northern Bypass to reach Blackpool. You can also pick up your rental car in Manchester and take the M61 to Blackpool. As one of the most iconic sites in Northern Ireland, you should not pass up an opportunity to visit the Causeway coast. 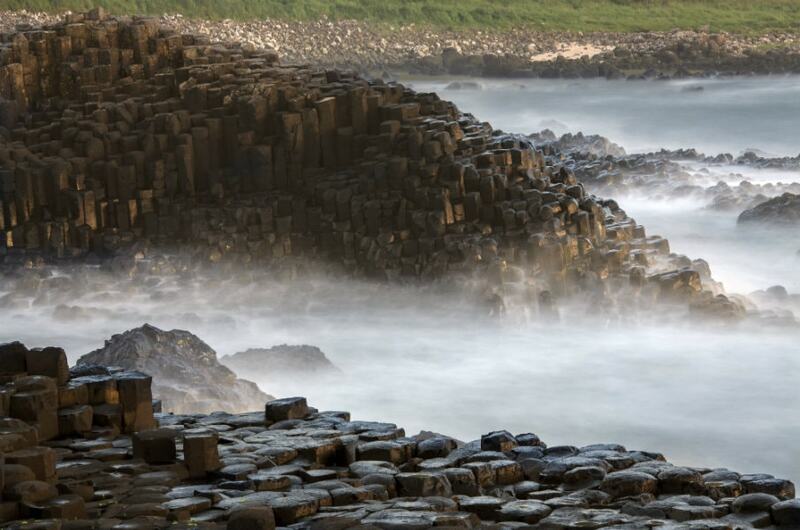 The unique, hexagonal pillars dotting the coastline make for a great photo and are exciting to explore. From the Visitor Centre you can follow a trail down to the coast, enjoying the passing views of the rocky shoreline. Spend some time climbing over the pillars along the coast. Driving Directions: Pick up your rental car in Belfast, and head north on the M6. Take Preistland Road to Bushmills and continue to Causeway Road. Not far from Cornwall's scenic Land's End, Portcurno Beach is just a part of a beautiful stretch of coastline reminiscent of the famous beaches of the Mediterranean region. With turquoise water, golden sand and granite cliffs the beach is very popular among sightseers. From the beach, visitors can also follow a walkway leading to Logan Rock, and enjoy numerous amenities offered in the surrounding towns. Portcurno Beach is easily accessible by road, located just 30 minutes outside of Penzance. The beach is popular for families as well as surfers. The area is patrolled during the summer months. 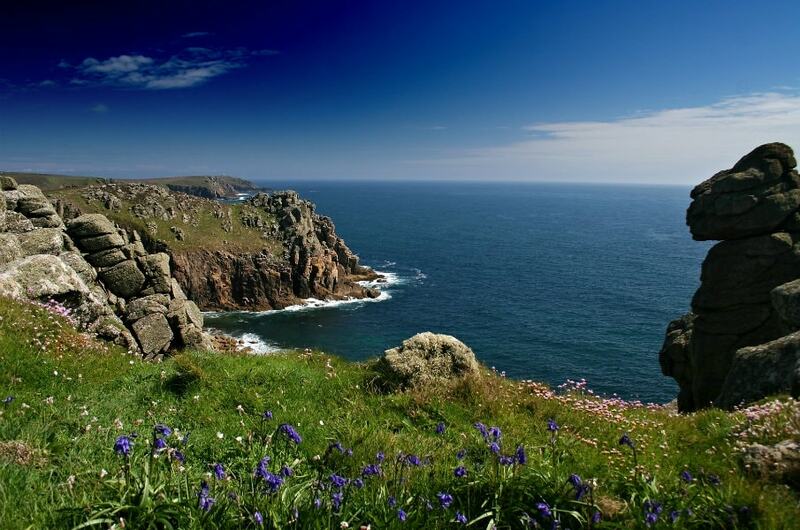 Driving Directions: Hire a car at Penzance, a town with an impressive coastline of its own. The drive to Lands End will take just 20 minutes via the A30, depending on traffic. 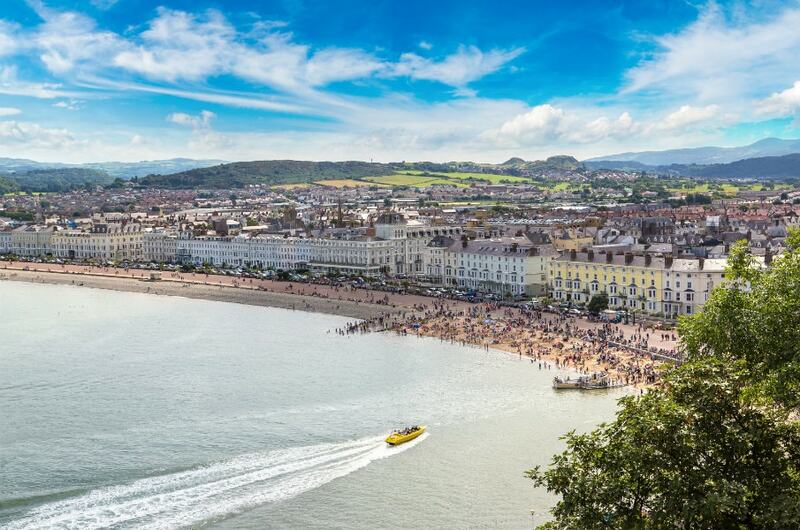 If it is a relaxing beach holiday you are after, head to the popular resort town of Llandudno in North Wales. The old fashioned, colourful buildings line the busy promenade leading to a Victorian style pier. The longest pier in Wales offers a variety of food stalls, shops and great views back to Llandudno. If you are feeling adventurous, you can follow the scenic trail leading to the summit along the Great Orme Headland. From the track there are fabulous views of the mountainous coastline. If you'd prefer to explore a quieter beach, it is only a short walk from the main promenade to the West Shore Beach. Driving Directions: To reach Llandudno, you can hire a car in a few major cities. The journey from Chester will take you just an hour along the North Wales Expressway.